We’re still ok to have a little 2018 retrospective, yeah? Good. 2018 was a delicious year. It was the year I got really comfortable with the sheet pan dinner, the year I almost ran out of smoked paprika (THE HORROR), the year I learned how to figure out the right texture for different kinds of dough, and the year I got more playful with my flavors and tweaking recipes. I made a point to try several new recipes over this past year, and these were my favorites, and the ones I’m taking with me into 2019. 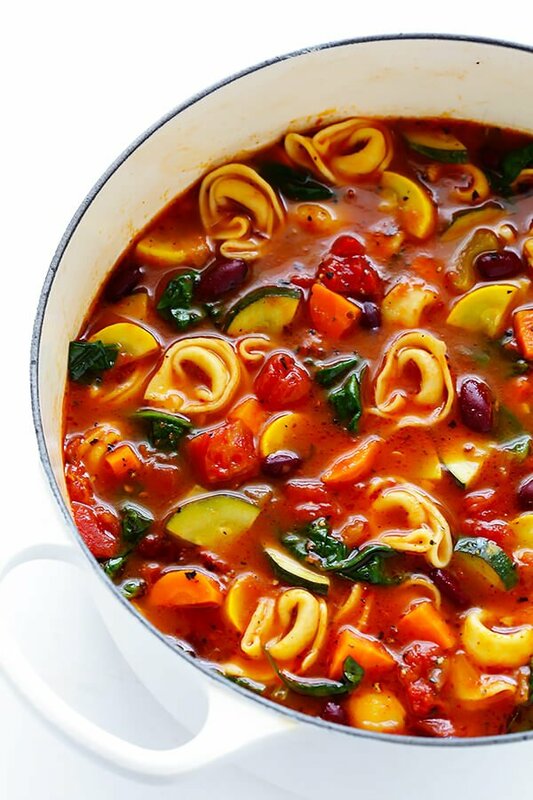 I was looking for a vegetarian soup that would appeal to meat-eaters, as well, and this soup was a big hit. I doubled it for a party and it fed a good 12 people with some left over. Big win for those few windy, wintry Honolulu evenings where a sweatshirt isn’t uncomfortable. Oh. Yum. This was my attempt to diversify from our dependence on chicken for dinner, and I am so glad I did. 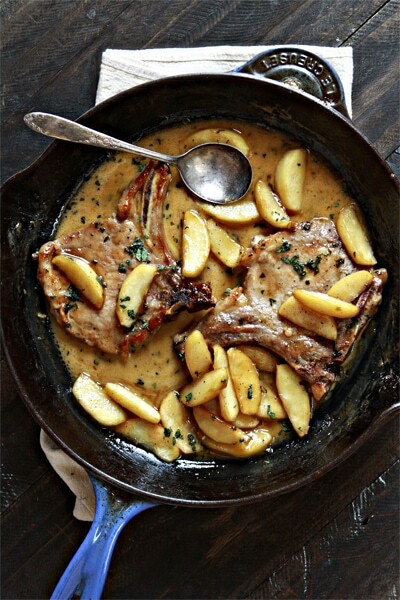 The pork cooks up nice and juicy, the sauce is delicious, and the caramelized apples are the cherry on the sundae. My husband even made it one night and provided me with some hilarious commentary. “Man, this lady loves her some butter.” “WAIT. I was supposed to start caramelizing the apples 10 minutes ago! !” **some odd little excited bouncy dance move when everything started to go well** Dinner and a show. It doesn’t get better. 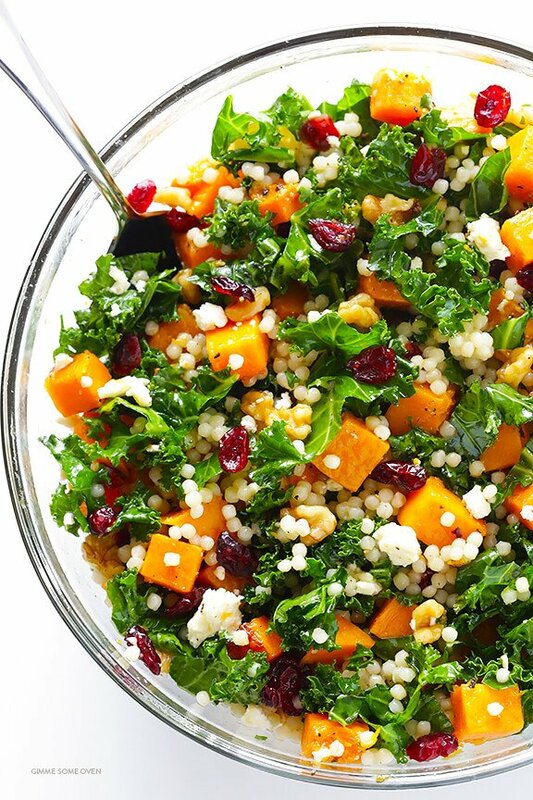 Kale salad with butternut squash, pecans, goat cheese, and craisins. From, again, Gimme Some Oven. Apparently this is my new go-to recipe website. In an attempt to eat more veggies and find a lunch salad that I can prep a couple days in advance, I found this salad and haven’t looked back. It’s perfect. I don’t even include the couscous and it’s still hearty and filling. This will be my go-to lunch salad for at least the first part of 2019.
Who knew ricotta cheese was so easy to make?! And so much better homemade. It was creamy, lush, and perfect for pastas, tacos, and enchiladas. Lean into it. Lean face-first into it. This is the second favorite roast pan dinner we made over and over this year, in part because it’s so flexible. 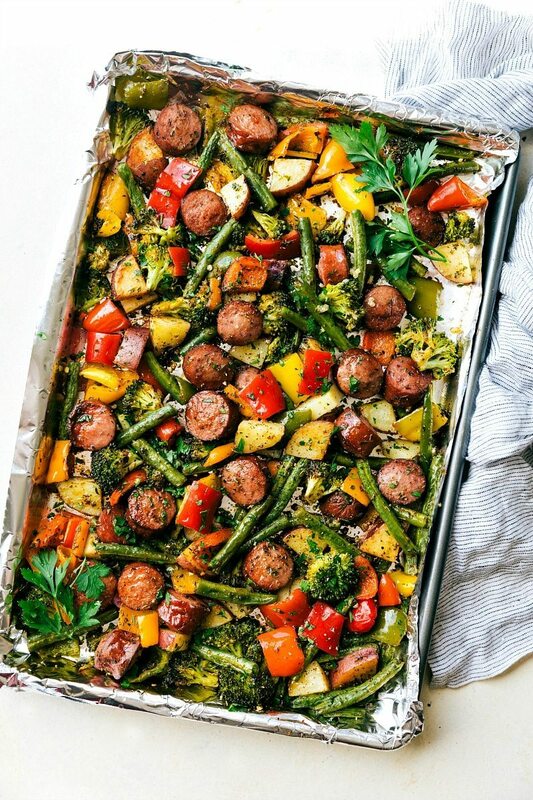 We’ve used Portuguese sausage, chicken sausage, and all manner of available veggies depending on what is at risk of expiring in the fridge. I cut way down on the oil and season according to whatever it is we are using. Usually a healthy sprinkle of garlic powder and smoked paprika. Seriously, get you some smoked paprika and use it on almost everything savory. I can’t get enough. 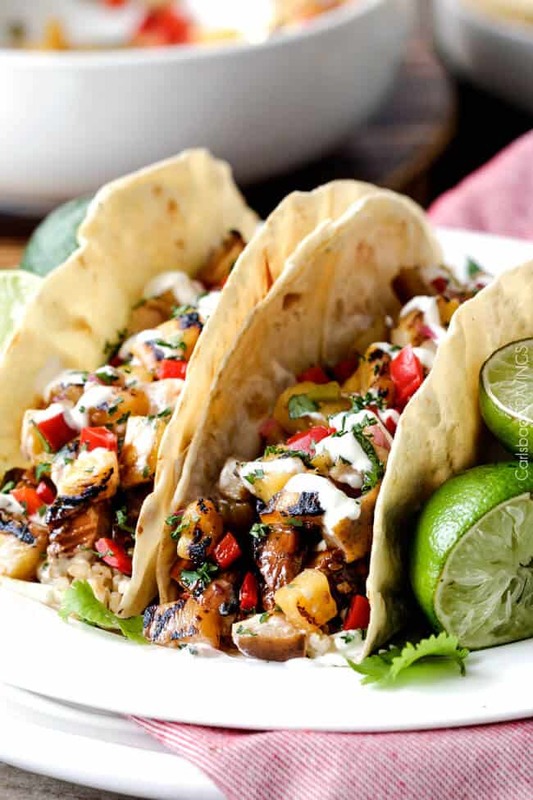 Of course I had to include a new taco recipe, and of course it had to have pineapple in it! This is a little time-intensive, but the flavors are fantastic. I didn’t take a photo (oops) and I used a recipe from Marc Vetri’s book Mastering Pasta so I don’t have a recipe to link, but this pasta was fantastic. The dough turned out nice and silky, the chestnut flavor was subtle and kind of meaty, and, paired with homemade ricotta and sausage and tomatoes, chestnut pasta made for a perfect Christmas Eve dinner. 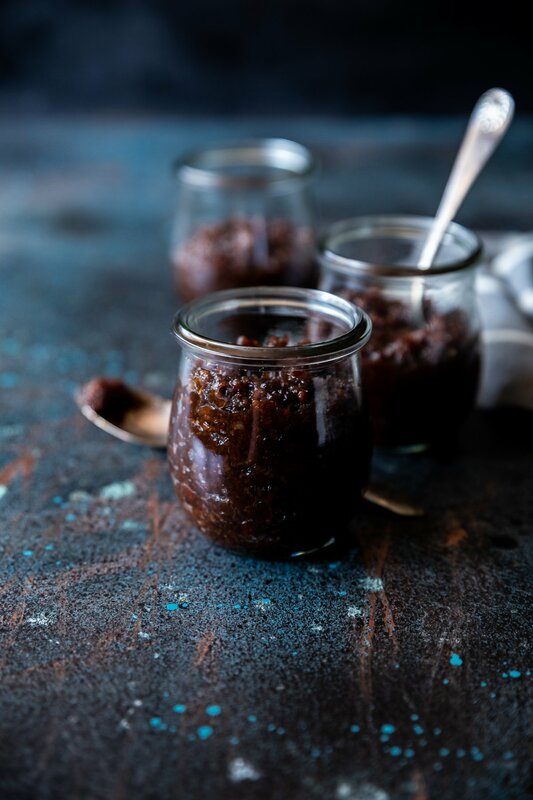 I have some recipes pegged to try this year, so I look forward to sharing the winners with you over the year and at the end of 2019. I hope you try something of the above, for your own tummy happiness! If you have any recipes to share, please post below so I can benefit from the delicious discoveries you found (or created! ).